Britney is our staff orchestral contact.She is active in her school orchestra, helping to mentor other students. Also, Britney uses her musical talents in her church, playing cello, piano and singing. 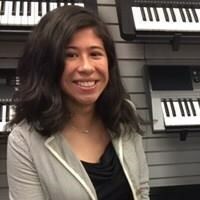 Her passion is to see and hear young and old musicians have the opportunity to suceed with quality instruction and good instruments.